We are accepting new clients and patients at our Antioch Tennessee Veterinary Hospital. If you live in Antioch, Tennessee, or the surrounding area then you have picked the perfect place to find high quality veterinary care for your pets. 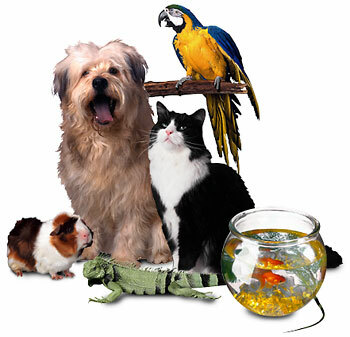 Drs., Pennington, Haggard and Harper are all highly experienced and qualified veterinarians who treat cats, dogs, birds, bearded dragons, snakes, rabbits, ferrets, hedgehogs, sugar gliders, chinchillas, guinea pigs and other small pocket pets. Your pet's health and well being is very important to us and we will take every step to provide your pets with the best possible care available in Nashville. Priest Lake Veterinary Hospital is a full service animal hospital founded in 1974 by Dr. Herbert McCollum. We accept both emergency cases as well as less urgent medical, surgical, and dental issues. We utilize state of the art medical equipment including Digital General Radiology, Digital Dental Radiology, Radiosurgery, Ophthalmic tonometry, Endoscopy and Ultrasound. We have a number of resources for you to learn about how to take better care of your pets. We provide an extensive library of pet health articles and pet videos on our website. We believe that the best veterinary care for animals starts with proper nutrition and proactive treatments. Please call us at 361-4646 or drop us an email with any questions or concerns that you may have at [email protected]. Please subscribe to our monthly newsletter. We cater to those who want the the most up to date health care information for their pets. At Priest Lake Veterinary Hospital, we treat your pets like the valued family members they are. Please let us know if you would like a personal tour of our hospital. "You don't know what it means to us to have all of you be so caring. Guess that's way we have been with all of you for 35 years plus!" ""These folks are taking care of my pets since they were babies. My chihuahua Minime and my to greyhounds Zeus and Baby are all treated very well there. My cat before she passed on was also treated there. They are amazing and have handled several emergencies for me. Their kindness and my animals is amazing. they also take time to sit down and talk to us like we're human beings and not a number. I recommend these guys to anyone."" ""I feel like the doctors and staff are very thorough and thoughtful. They care for almost any kind of pet. They are well trained."" ""We've been taking our puppy here, and everyone is so friendly!"" ""Great Veterinarian services and boarding! They treat your pet's as if they are their own! I love and highly recommend it!"" ""Absolutely the friendliest and well informed Veterinarian I've been to."" ""We’ve been trusting these vets with our dog (child) Destin for ten years. They always take the best care of him and they put his anxieties at ease by always assuring he is separate from all other animals. This year when he had to be sedated for some dental work they were nice enough to let me camp out in the lobby all day. They truly care about our pets and about us as well."" ""Only vet in Nashville that sees hedgies, and they take great care of my baby""